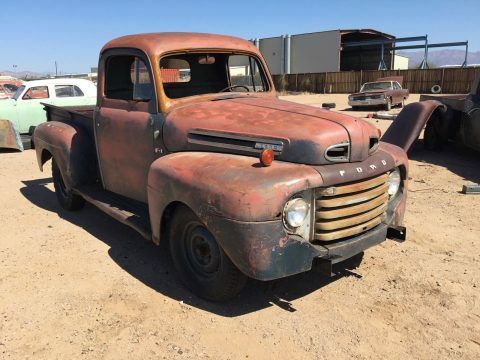 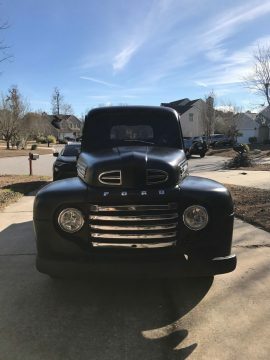 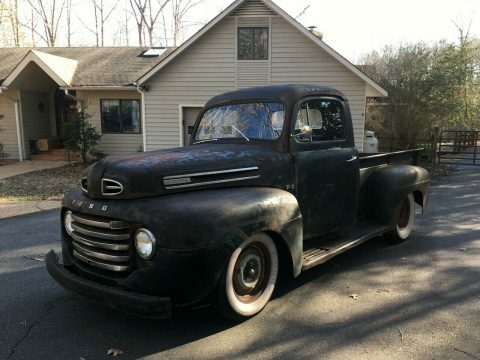 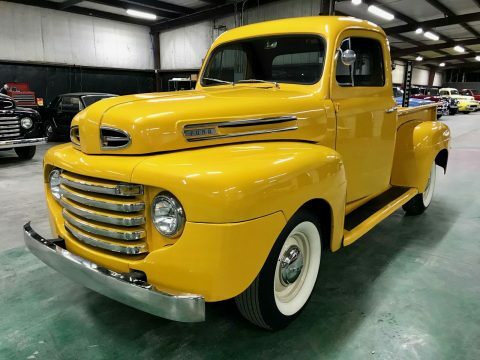 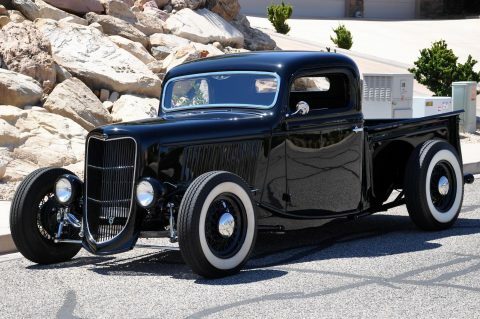 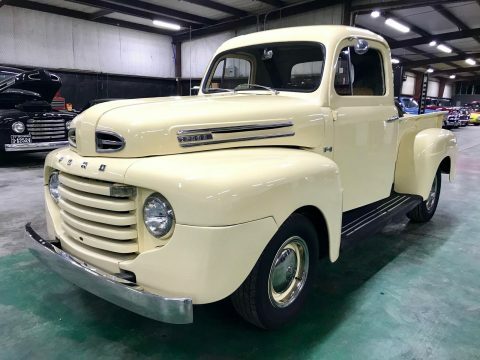 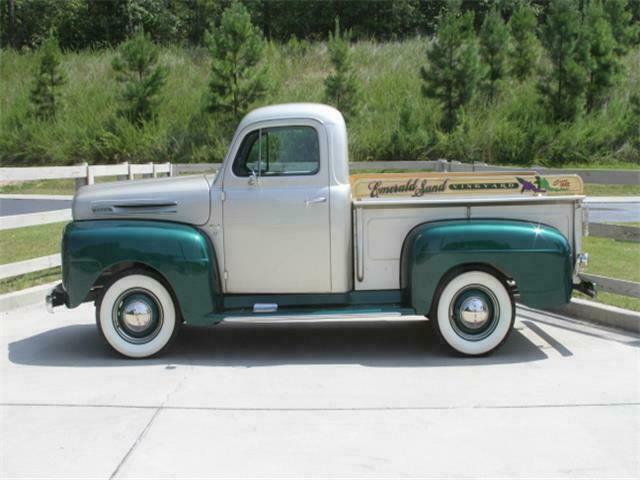 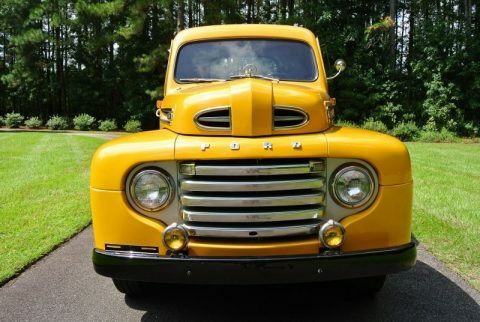 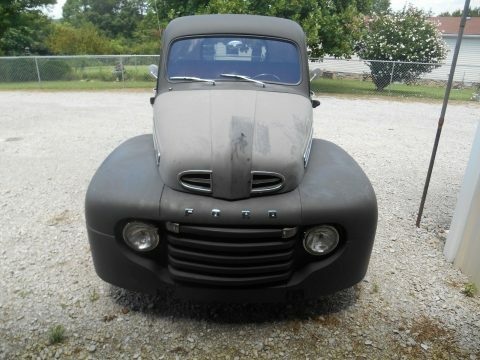 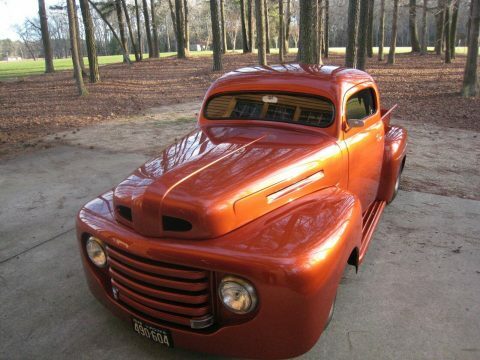 This 1949 F-1 Pickup is the result of an extreme body-off restoration where strict attention was paid to every detail in the restoration process. 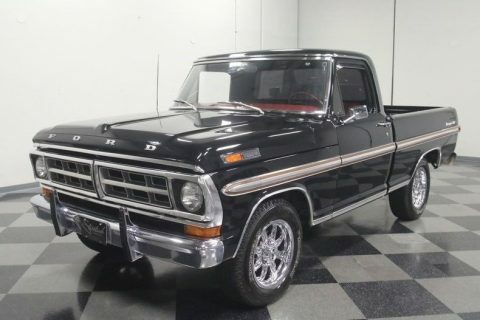 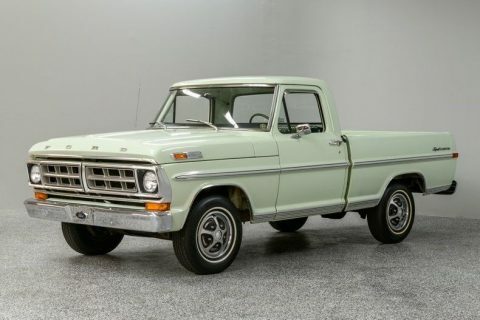 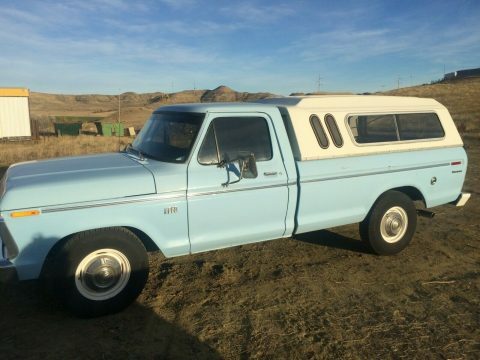 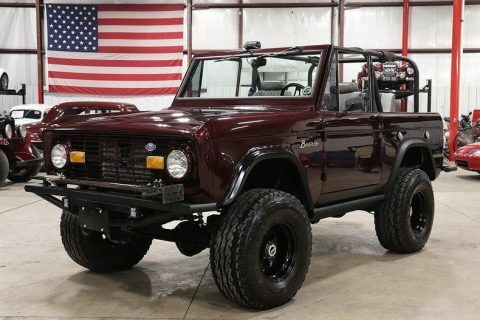 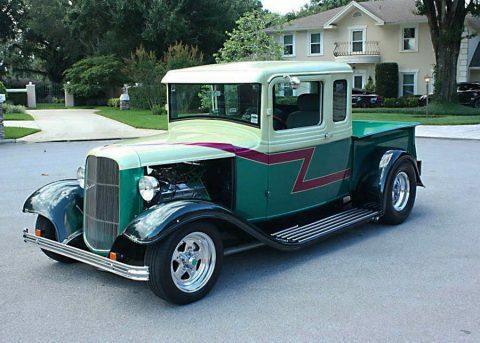 With all-steel body and fenders and finished in a one-of-a-kind color combination of Champagne and Emerald Green, this truck wins the attention of all who see it. 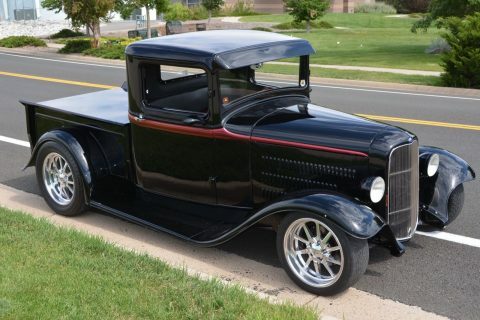 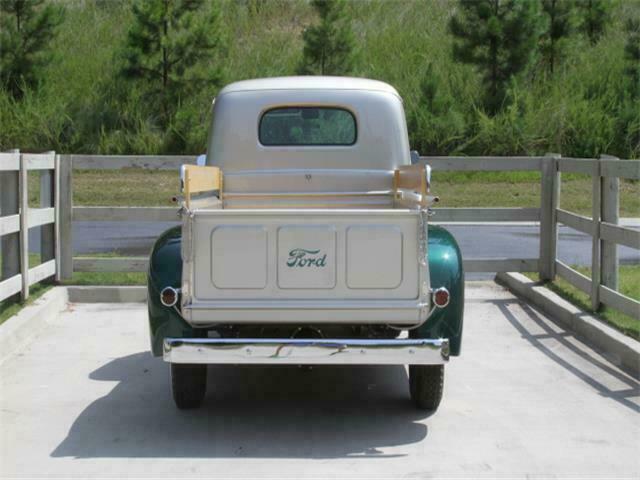 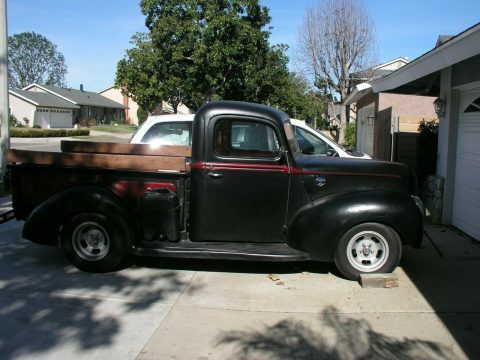 The restoration included replacement of all glass, rubber gaskets, period-correct tires and oak box bed. 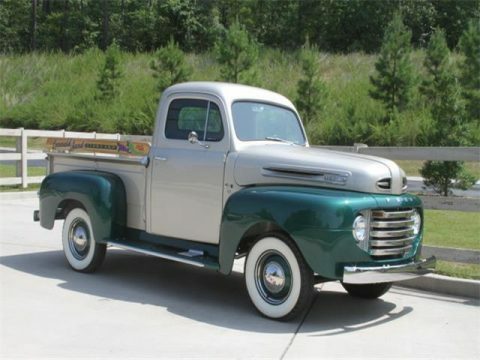 All chrome and stainless steel was replaced and the truck was upgraded to a 12-volt electrical system. 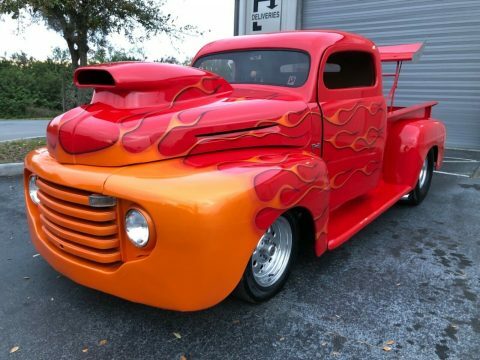 The highly detailed engine compartment demonstrates the attention to detail and the 239 cubic inch flathead V8 runs like a watch. 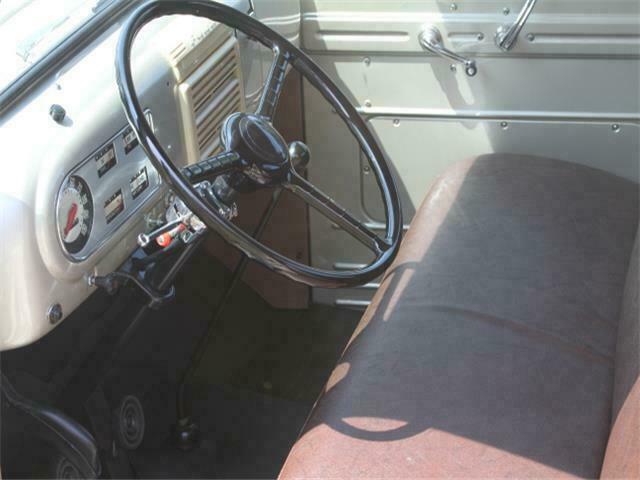 On the interior, brown vinyl seating and flawless champagne dash provide a further example of the high caliber of this restoration.